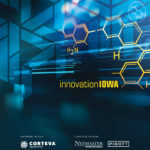 In 2013, the Business Record launched innovationIOWA Magazine, an annual publication with a mission to spotlight innovative companies and technological achievements across the state. One year ago this week, our newsroom launched the innovationIOWA e-newsletter, updating our delivery from annually to weekly – right to your inbox. The mission remains the same: we seek out the stories of the people, products or processes changing the way you do business, whether you are a startup founder, a C-suite executive, a middle manager, a community leader or a remote worker. Here’s to Year No. 2!